This afternoon we held our Pre-school sports day at our Edgbaston nursery from 2.00 till 3.00. 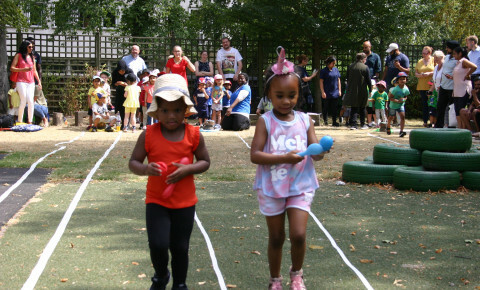 All of the pre-school children took part in a variety of races such as the relay, the egg and spoon and walk the plank. We even managed to fit in some adult races that were very funny and quite competitive. All of the children were winners and went home with a medal and certificate.